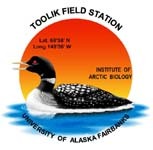 » Late season thaw depth measured in the ARC LTER moist acidic tussock experimental plots at Toolik Field station, AK Arctci LTER 1993 to current year. Plots are setup as indicated below, with annual fertilization treatments of 10 g/m2 Nitrogen (as NH4NO3) and 5 g/m2 Phosphorous (as triple superphosphate) for all N, P and NP treatments. Greenhouses and shade houses are set up annually in early June and removed in mid-August. Plots were setup in June 1981 with annual fertilization treatments of 10 g/m2 Nitrogen (as NH4NO3) and 5 g/m2 Phosphorous (as triple superphosphate) were applied. Greenhouses and shade houses were annually set up in late May or early June and removed in the end of August or early September. Greenhouses and shade houses were discontinued in 1989. There are 4 replicate blocks, each containing 1 replicate of each of the following treatments. plot/treatment except for GH, GHNP, Shade, and Shade NP which are 2.4 x 4.9 meters. Treatments began in 1997. Plot size are 5x10 meters. All fences are large mesh with an inner 5x5 meter small mesh fence. Low Fertilization - in 2006, a new set of experimental treatments were established in MAT near the earlier plots described above. These include a gradient of fertilization treatments that receive nitrate or ammonium alone, or receive N and P additions with 0.5, 1, 2, 5, or 10 g N added with half of that amount added as P. An additional set of plots were set aside upon establishment for future experiments, and are noted as H.
A total of 8 measurements were made with a stainless steel probe. All measurement made in inter-tussock mossy area; not wet hollows. Depths for each plot were taken along the 20 meter sides every at 2.5, 7.5, 12.5, 17.5 meters. For greenhouses and shade houses one depth was taken between every set of rafters (every 1.2 meters). No measurements were made in the shrub or heath experimental plots due to gravel and rocks. NOTES AND COMMENTS: The tussock greenhouses and shade houses were measured after the plastic and shade cloth were removed. 2006 Measurements were not made in Non- Acidic sites because thaw was deep enough that a rock layer was reached. 2008 No measurements in Non acidic tundra. 2009 Thaw in the low fertilization plots were made. 2016 Seasonal measurements but only 5 reps were done. There is gap between 1993 and 1997 when thaw was not measured. Version 2: Added LTERNET Data Access server proxy for Excel and comma delimited data files. Version 5: Changed cell L470 from "3/28" to "28". Updated metadata form to newer version (without site sheet). Updated data to 2012. CH 2 Feb 2013. Updated to newer metadata with site sheet. CH March 2013. Definition: Date that the thaw depth was measured.